A museum located in five palaces. The splendid Carrer Montcada, with its history and noble bearing in the Ribera neighbourhood, is the best place for the work of the artistic genius, Pablo Picasso, who had an intense relationship with Barcelona. Five palaces that house a top artistic centre with the best works by the young Picasso. The Museu Picasso de Barcelona houses 4,249 works in the permanent collection and is fundamental if you want to get to know the painter's youthful and formative years. The museum occupies five palaces in Carrer Montcada that constitute one of the best examples of civil Catalan Gothic architecture. They have a common structure, around an internal courtyard and a grand external staircase which grants access to them. 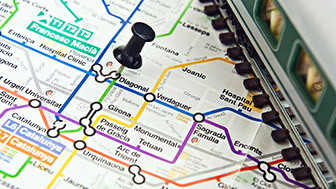 In fact, the whole of Carrer Montcada is classified as a historical and artistic monument. 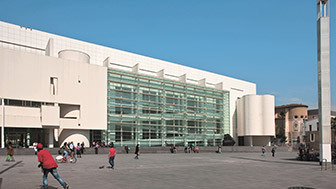 The Museu Picasso symbolises the love affair between the city of Barcelona and the painter. The Ruiz Picasso family came to Barcelona at the end of the 19th century, when Pablo was only 14.14 Immediately he started studying at the Escola de Belles Arts de la Llotja fine arts academy and began his career as a painter. 18 When he was 18, he experienced the opening of the Quatre Gats cafe, which became one of the Catalan intellectual centres of that time. The young Picasso painted the cafe's menus in exchange for holding an exhibition there. The first years of Picasso's training were fundamental to his artistic career, and he always kept his link with Barcelona. So much so that, by express wish of the artist, and thanks to the help of his secretary and friend Jaume Sabartés, it was decided that the city should permanently house a museum of his work as a young man. Pablo Picasso himself donated the series Las Meninas de Velázquez to the museum, one of his best-known and most important works. Carrer Montcada, a vestige of noble Barcelona from another time, was the place chosen for the museum, and the collection was established in the Gothic Aguilar palace in 1963. The subsequent increase in the picture collection led it to occupy, in different years, the Baró de Castellet, Meca and Finestres palaces, and the Casa Mauri. 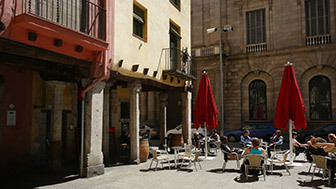 The museum is in the La Ribera neighbourhood in the Ciutat Vella district, where the painter also had his first workshops. Very close to the Quatre Gats and La Llotja, there are settings that were crucial in Pablo Picasso's artistic training and development. The love affair between Barcelona and Picasso never ended. In Ciutat Vella he left friends, relationships and drawings, and, by his own choice, one of the best museums of his work.